Ahead of President Trump's visit to Israel, Fatah responds to questions raised by Trump, says money for jailed terrorists good for peace. 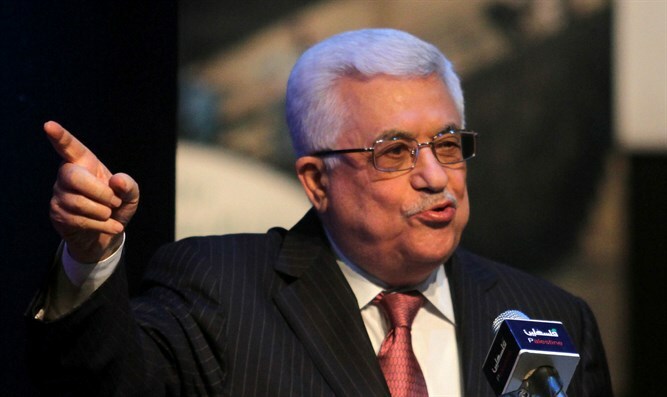 Ahead of President Donald Trump’s visit to Israel scheduled for May 22nd to the 23rd, Palestinian Authority chairman Mahmoud Abbas’ Fatah faction responded to questions raised by Trump regarding the funding of jailed terrorists with a novel explanation, Palestinian Media Watch reported. President Trump, who is expected to visit Abbas in Ramallah during his stay in Israel, met with Abbas in Washington last Wednesday. During their meeting, the president raised the issue of the Palestinian Authority and Fatah party’s payments to jailed terrorists and the families of terrorists killed while attempting to murder Jews, an issue often cited by Israel as a barrier to peace and one of the most transparent examples of the PA’s support for terrorism. But Fatah party central committee member and former PA chairman Rawhi Fattouh denied funding for terrorists harms the prospects for peace, and even argued that the subsidizing of violent anti-Israel terrorism actually makes a lasting peace more attainable. Without the PA and Fatah party’s funding, Fattouh claimed, terrorists and their families could be drawn to the ISIS terror group.